Chocolate baby biscuits in the form of animals are very tasty. 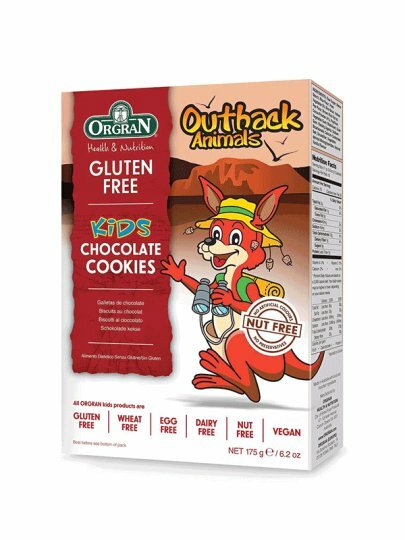 Australian wild animal motives are also very attractive to children. Raw sugar, corn starch, rice flour, palm plant oil, bran of rice, yellow flour pea, brown rice syrup, powdered cocoa (4%), trputac, herbal gum (stabilizer): guar gum, curing agent: sodium bicarbonate, calcium carbonate, salt, emulsifier: plant monoglyceride, natural aroma of vanilla.